Mana country lo the phenomenon of actors turning into politicians is not something new. But in this big ocean of race of politics a few of them have managed to make a leap forward by setting up their own parties or by joining in some existing parties. Despite a few facing failures, this ride hasn’t stopped. They have frenzy of fans that support them on and of screen which makes it easier to keep their stability. Here are a few Actors who stepped into politics. 1. 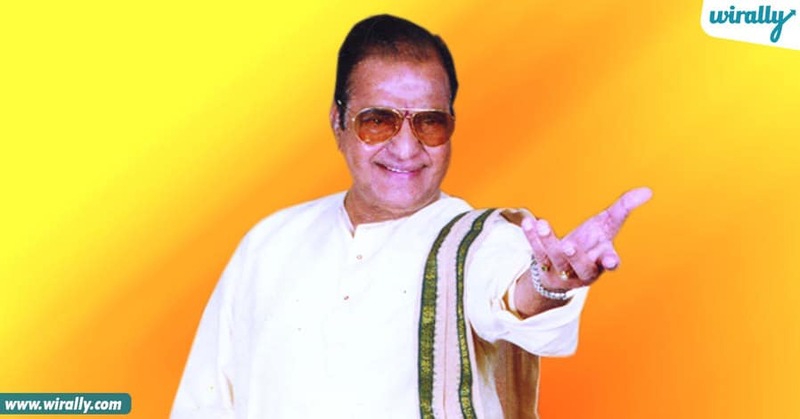 NTR Sr. Nandamuri Taraka Rama Rao, popularly known as NTR was an acclaimed Telugu actor, writer, director, producer, and politician who also served as the Chief Minister of Andhra Pradesh for three terms. 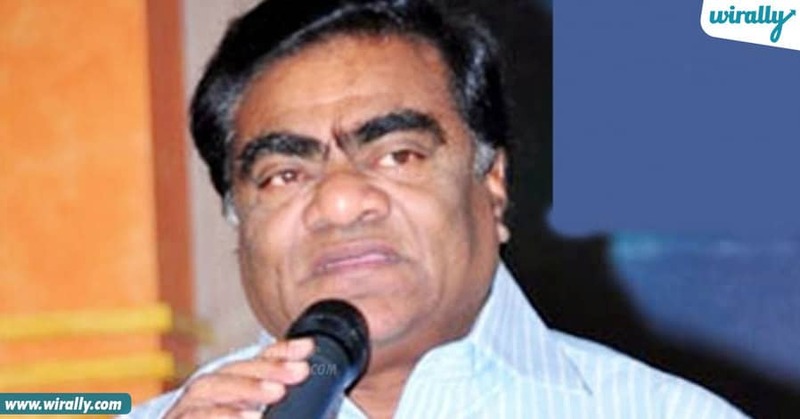 He founded the “Telugu Desam Party” (TDP) in 1982. TDP also has the rare distinction of being the first regional party to become the main opposition party in Lok Sabha from 1984 to 1989. He starred in 274 Telugu films, 15 Tamil films, 3 Hindi films and considered the most prominent figure in the history of Telugu cinema. 2. Nandamuri Harikrishna He founded a regional party in Andhra Pradesh, the “Anna Telugu Desam Party” (ATDP) on 29 th January, 1999. After its massive defeat in the 1999 state assembly elections, there is no hint of existence of this party as they haven’t participated in any other elections. The founders of this party have shifted and joined the TDP and were elected to Rajya Sabha. 3. Vijayashanthi Vijayashanthi is known for her brave and action movies and broke the stereotype by being the heroine who could get away with all kinds of roles. 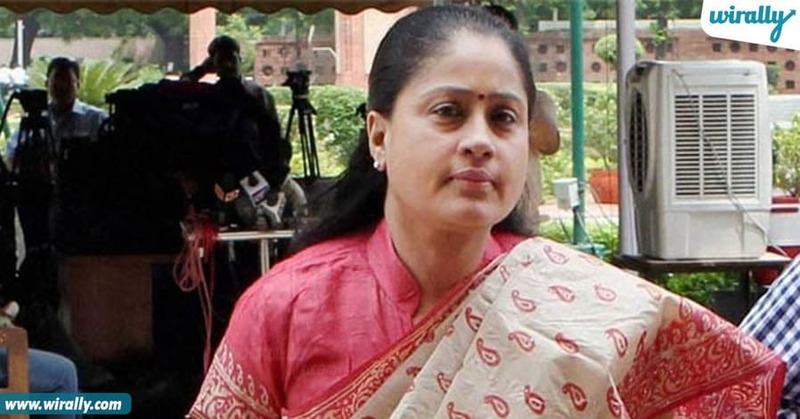 She started her own political party, “Talli Telangana”, which was later merged into Telangana Rashtra Samithi (TRS) due to lack of strength and support, in January 2009. In 2011, she submitted her resignation as an MP. Later she actively participated in Politics for separate Telangana state. She then went on to join Indian National Congress party on February 2014 after split with TRS chief KCR and contested to Lok Sabha elections 2014 on a congress ticket. 4. Chiranjeevi He is a renowed actor, dancer, producer, voice artist and many more. 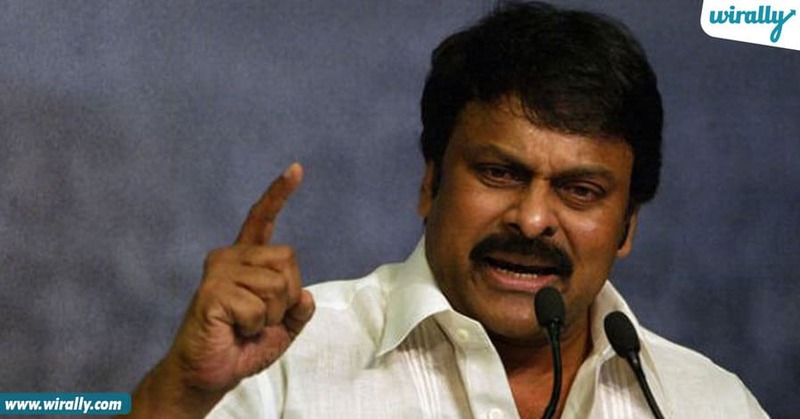 In 2008, Chiranjeevi started “Praja Rajyam”, a political party in the state of Andhra Pradesh. At the launch, he stated that social justice was the main agenda of his party. In the 2009 general elections, the party won 18 of the 295 seats in the Andhra Pradesh State Assembly. He contested from both Tirupati and Palakollu Constituencies for MLA in the 2009 general elections. He won in the former but lost in the latter constituency. On 6 February 2011, the actor turned politician merged the 30-month-old Praja Rajyam Party with the Indian National Congress, after two weeks of talks with Sonia Gandhi. On 29 th March, 2012, he was nominated to Rajya Sabha and later took an oath as its member. He was the Minister of State within dependent charge for the Ministry of Tourism, Government of India. 5. 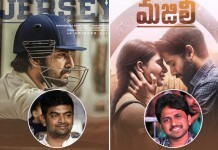 Pawan Kalyan He has one of huge collections of fan base in the state and the country too. 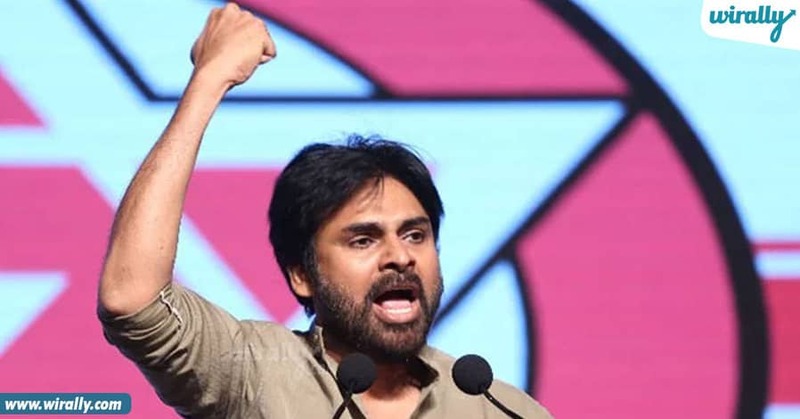 He founded a political party called “Jana Sena” on 14 March 2014. He will now contest in elections in Andhra Pradesh and Telangana states for the upcoming local body elections. 6. 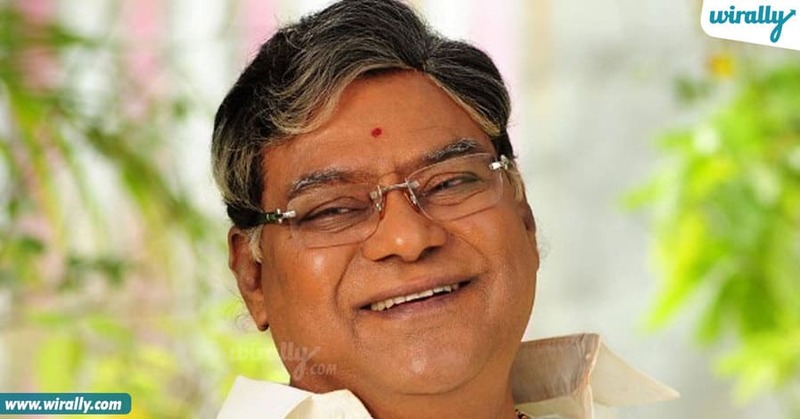 Babu Mohan He has been a resolute and an ardent follower of NTR Sr and hence joined the TDP. He became an MLA from Medak district Andole Constituency, serving as Social Welfare Minister in the TDP government. After losing twice, he shifted to TRS and in 2014 General Elections he won the election. 7. Balakrishna Ever since the formation of TDP, he has campaigned for it in many provinces. He contested in the 2014 Andhra Pradesh Legislative Assembly elections on behalf of TDP and won the Hindupur Assembly Constituency seat with a reasonable majority. 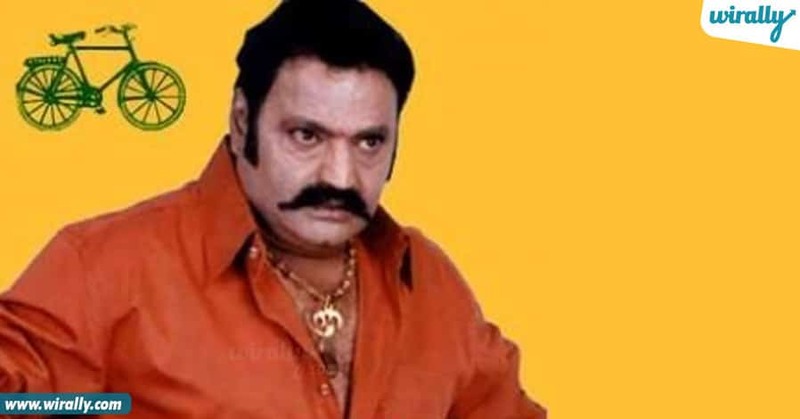 Balakrishna is the third member of their family after NTR and Harikrishna to represent State Assembly. 8. Kota Srinivas Rao He is a multi-talented theatre artist who can pull off negative, comic, supporting roles. During 90’s, he enterd into politics. From 1999–2004, he was an Ex Member of Legislative Assembly from Vijayawada East assembly constituency in Andhra Pradesh. He is a member of Bharatiya Janata Party. 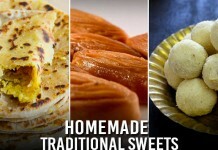 Love ante Gautam Menon, Gautam Menon and Love!